Firstly I should say there is no such thing as a typical day in our lives. Some things have to happen every day as you will see but other are only done once or twice a year. Some things are done every day for weeks then not done again for a year and other are done once a week every week. This is the joy of living a life in tune with the natural forces around us our life is cyclical. I’m writing this in part to give potential apprentices/interns some idea of what to expect when they come to live and work with us, but it’s also a common question from people who visit or ask us questions via the website. We started out on this journey to escape the monotony of the daily grind we had sunken in to as if it were somehow normal to run on the treadmill of work, consume, pay debt etc. We did not however try to escape from work i.e. physical toil, we are not lazy we just want fulfilment from working naturally in a way that benefits our bodies, minds, and spirit. This has evolved in to a cyclical routine that is far from monotonous. So what does a “typical” day looks like here? We are not early risers by habit and contradictory to common belief cows do not need milking at dawn we usually get up around 8:00am open hen houses and feed and water any animals that need it or move larger animals from one pasture to another.Winter days look different as the animals are confined so they need clean bedding, feeding and watering. The result is the same the animals are comfortable and fed. 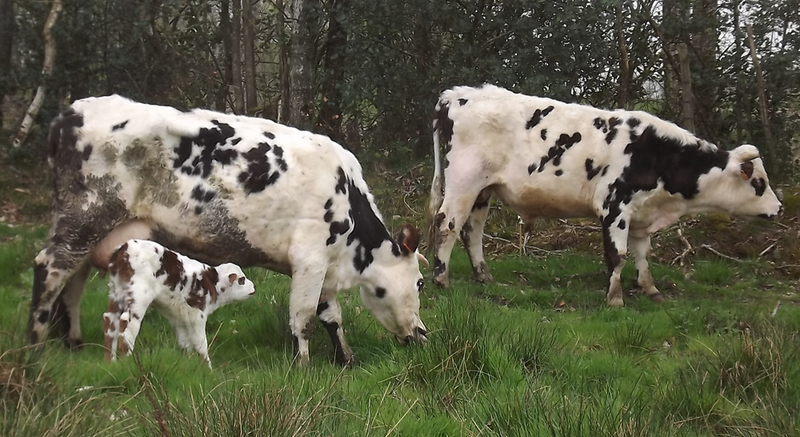 When we have a cow in milk which is most of the time she needs milking at least once a day but often twice a day, this depend on whether she has a calf at foot who requires most of her milk. Then we have breakfast and discus what we need to do for the rest of the day, early in the year late winter early spring this will include fence erecting, hedge and tree planting, cleaning the cow shed, building compost heaps and collecting fire wood. 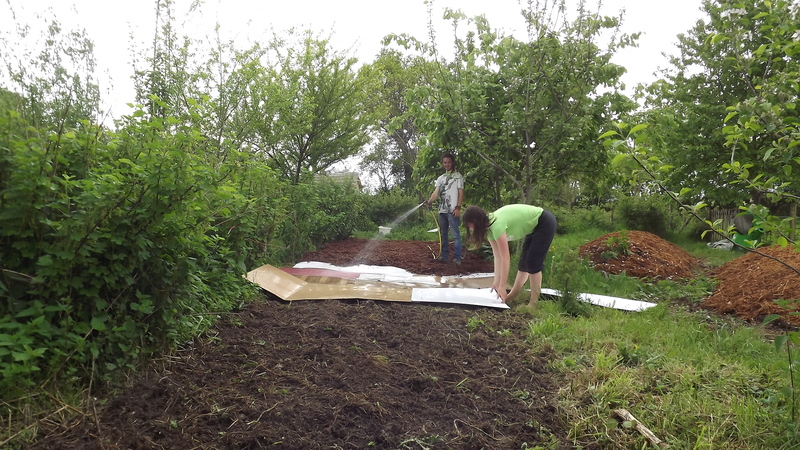 Later in the year mid spring this could include soil preparation, mulching, brush cutting and seed sowing under cover. 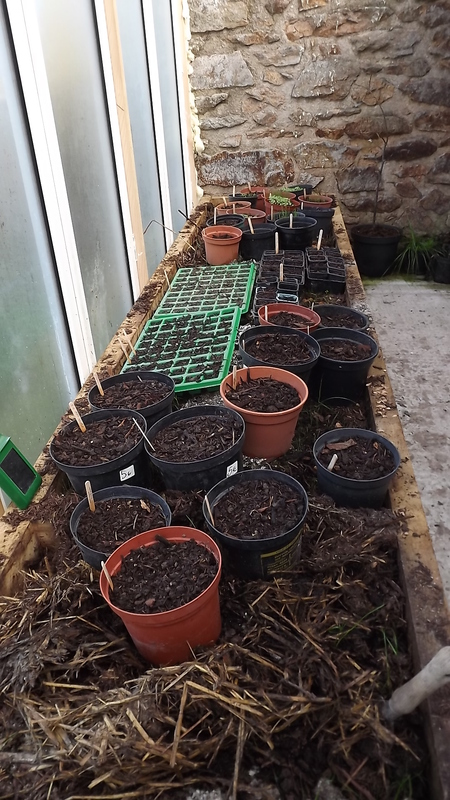 Later in the year late spring, early summer this could include potting up seedlings, watering the garden when needed, grafting trees and propagating other plants from cuttings. We have a break for a light lunch sharing the task of harvesting for meals preparing and clearing up after all meals with whoever is on site, chefs never wash up, so if you hate washing dishes be ready to cook. When we are on our own in the winter we often skip lunch. 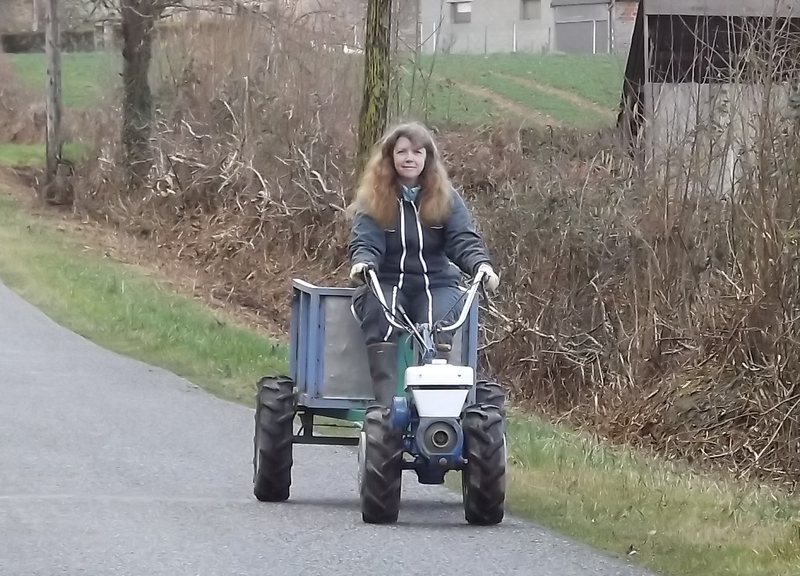 Then we return to whatever task takes priority, some of these tasks will take hours, some days and some will run to weeks depending on the requirements of the animals, plants and systems. In the height of the summer it gets hot here so rising early around 6:30 and taking an extended break from 12:00 to 16:00 makes a great deal of sense but sees us back in the garden watering and weeding until dusk. In late summer early autumn tasks change from caring for plants to exploiting them for their bounty. While our growing season is longer than it was in the UK we still have a glut of produce from August to October beyond our immediate needs. This all needs to be harvested and stored, tender produce like tomatoes, aubergines and courgettes need to be cooked and bottled or fermented. 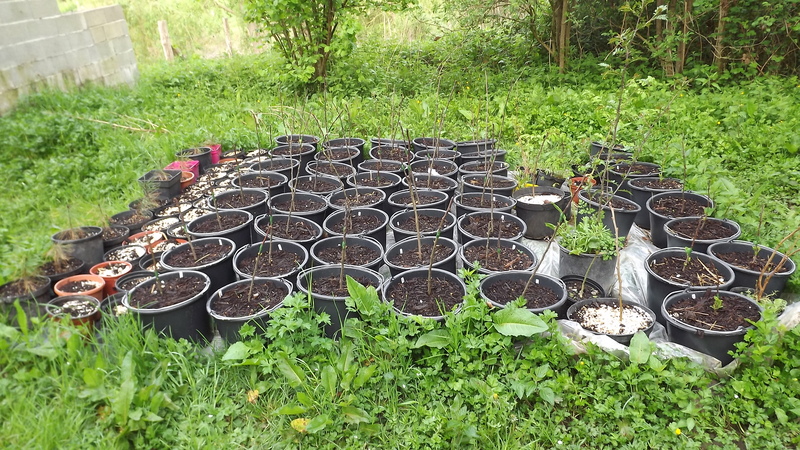 Apples just need to be wrapped and put in the cellar, pumpkins harvested and let to dry in the sun then stored in the cellar. 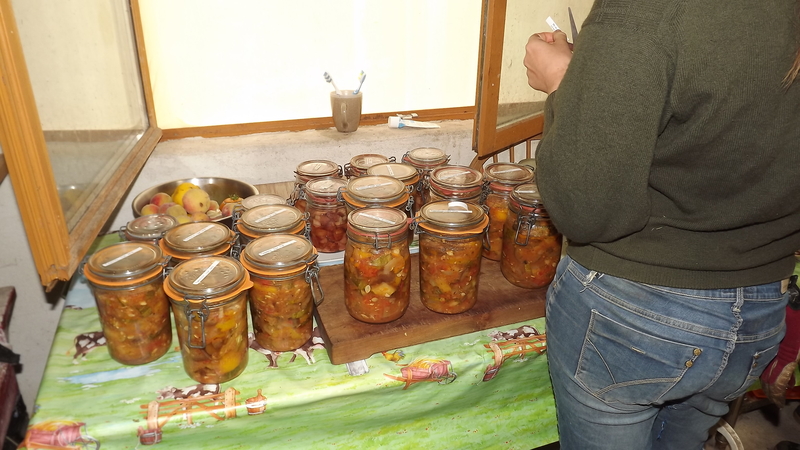 Peaches, plums and pears are bottled or made in to Jam when we can’t eat them immediately. 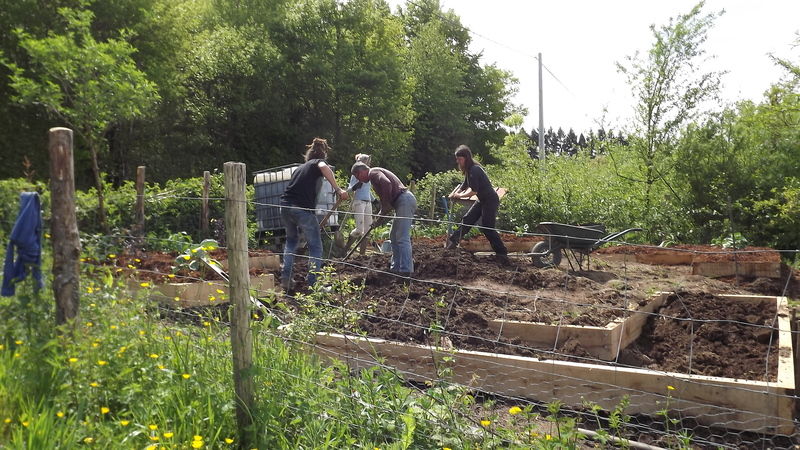 During late autumn and winter the soil becomes dormant and the site makes less demand on our time. Now is the time for us to enjoy our creative side Fiona likes to work with fiber so she spins wool knits for us both or makes dresses and other clothing for both of us and sometimes for our extended family. 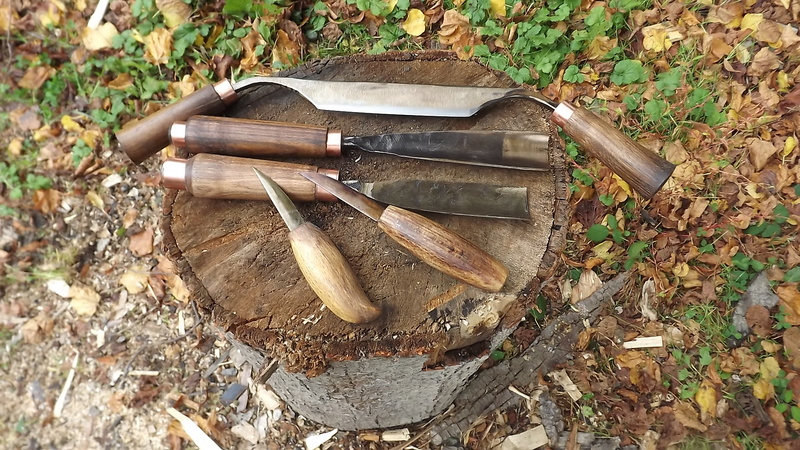 I love to work with wood in all its forms so I spend my time turning, carving and constructing and in recent years I have even taken to making the tools to do the work in our forge. Now that our systems are close to finished we get most of our weekends free to explore the beautiful area of France we have settled in. We do the least required by the animals and plants and then we are free for the day at least. Walking and cycling are part of our lives so exploring the local forest and harvesting mushrooms, wild food or tree seeds. 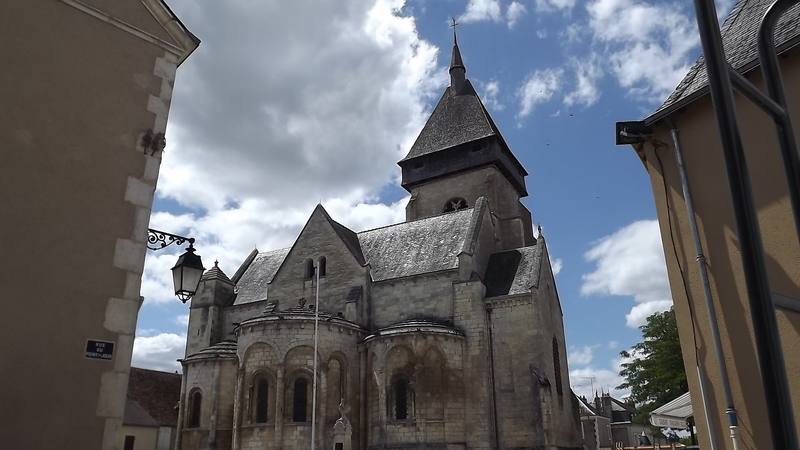 Taking in the beauty of local architecture and finding out the history of our region, visiting “brocantes” (second-hand street markets) and having picnics by a local river. These are the activities which charge our minds, bodies and spirits in readiness for the weeks work ahead of us. There are no Monday’s in our lives by this I mean no day we do not look forward to with pleasing anticipation, no daily grind just a daily routine of productive investment in how we live and what we want our lives to be. Green Wood Terrace Cover → ← Peaches for Breakfast.